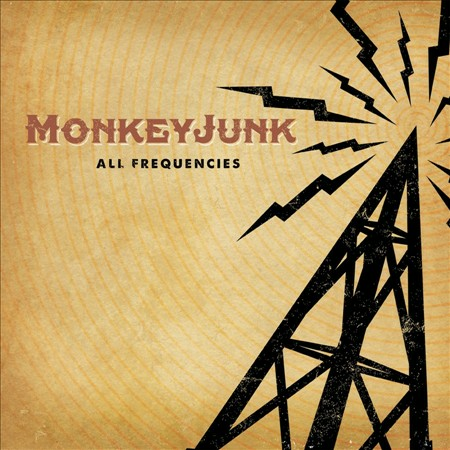 I just received the newest release (September 24, 2013), All Frequencies, from MonkeyJunk and it's a cool blues rocker. Opening with You Make A Mess, a fleet footed rocker,with Steve leading the way on vocal and baritone guitar. Tony D plays a flashy guitar solo and Matt Sobb is tight on drums. This is an easy play for radio play with it's solid beat and melodic hook. Right From Wrong has a more traditional rock blues rhythm and vocal track. Marriner has a particularly good voice for music like this comparable to Paul Rogers to my ears. Also adept at harp, Marriner holds down the bass line on the bari as he trades harp riffs with Tony D on guitar. Why Are People Like That is a particularly strong track with a hammering drum beat reinforced by Marriner on bari and leading the way with his vocal style. Tony D lays down some really nice shimmery guitar riffs on this track making it one of my favorites. Je Nah Say Kwah is a funky little pop track with Wonder like harp riffs and top tapping rhythms. Sirens In The Night is a blues rocker with drone string guitar work which I always liken to country blues. Very nice touch. Tony D plays a cool slide solo on this track and Marriner chases him with harp. Once Had Wings opens as a real primitive sounding track with roots in country blues.It slowly evolved with additional instruments adding warmth but staying close to home. Again Marriner shows that he is one of today's top vocalists in the blues rock genre. Slide work by Tony D is really nice making this another of the most outstanding tracks offered on this release. What I Got To Give stays in the blues roots area again with a bit more polish, but a very cool track. Solid slide work again from Tony D adds a interesting contrast to the simple rhythm and Marriner follows on harp, never taking it over the top. The release is completed with Swank, an instrumental with a lead organ part by Marriner ringing back to the 60's rock and Booker T. A particularly cool guitar solo by Tony D caps off this instrumental selection. This release has a lot of different flavors and one that you may want to check out!